Forums Community Creations Hearthstone in Diablo universe! Hello Hearthstone, Diablo, Warcraft, Starcraft, Blizzard fans :D Here you can see one concept from me which turns Hearthstone: Heroes of Warcraft into a dark version, into Diablo universe. Lets imagine what if some time in future Blizzard will do card games around their other universes, for example Diablo? I think, it should be really darker, with blood and really serious looking enemies and heroes. Lets dream a bit about dark version of Hearthstone, and here is my try and concept of it. On the concept you can see some random and crazy ideas just for showcase, such as three stolen souls, corrupted Paladin and one of "Reaper of Souls" creatures on Malthael's side, who can steal souls with his ability. On Diablo's side you can imagine something about claw weapon and special ability to spawn random Lesser evil with some random attack/health/ability, which can me dangerous for both - enemy and for Diablo itself. Another crazy idea may be corrupted Imperius on the Diablo's side, and some well known characters such as Azmodan or Butcher. Also in the back side of Soulstone cards I've used artwork from Book of Tyrael (which also used for background outside of game arena). I think, it's the most similar in average concept with Hearthstone sign. The fanmade name Soulstone: Heroes of Pandemonium sounds better, than Hearthstone: Heroes of Diablo. First, because Diablo is just a character that may be in the game, and Pandemonium really fits to battle arena theme. Second thing is Soulstone which sounds a lot better and fits directly to Diablo universe. Entire concept was done by me. All the card artworks (slighty edited to for concept style) - by Blizzard and other great graphic artists. Entire concept was done by me. All the card artworks (slighty edited to for concept style) - by Blizzard and other great graphic artists. Regarding name and average style, I want to say that I've tried to stick with Reaper of Souls theme. This is just concept and anything can be changed, including textures, names, arts, etc. if they followed this Idea to a tee, they could just expand on Hearthstone and add the Diablo series too it (like they are doing with Heros of the Storm) If they were going to make a card game for Diablo as a stand alone game I would honestly Expect it to be a different game all together. as for the Fan art. HOLY #%#@$%^#$%@#$$ It looks AMAZING!! :] If they added Diablo series to hearth stone I would buy a lot of Cards from that series. if they made a whole new game out of it I would definitely play it. let's see what happens. Dont get me wrong, I love playing hearthstone. 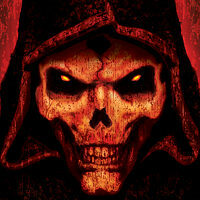 However, I would much rather be playing a diablo version of it!!!! Amazing job. I think this version might become true. I played trading card game before, and adding more cards is what company often do. It is good for marketing products also. Well I don't know about you guys but I conceptualized this myself too, a little before Heroes of the Storm was announced. Bringing D3 and SC2 into Hearthstone could do the game wonders, simply by adding card diversity and new abilites, but lots more would come with it. This is an incredibly cool idea. This is an awesome idea, but I'd rather they just expand upon hearthstone and make it cross-universe like with heroes of the storm. Personal opinion, but i still support this being done, would be pretty cool. I still don't play WoW though. No money mainly and... not sure if things have been improved yet. Namely Cataclysm content and on. 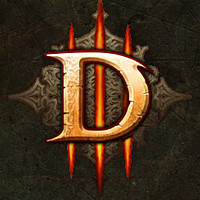 Really cool but in blizzard's eyes Diablo3 is the ginger step son. so, we won't see anything like that come to light. i'd much more prefer playing a Diablo card game then Warcraft. But Warcraft has the bigger appeal so its why blizzard chose it. Really awesome art - almost looks legit! I would love to see this and PLAY this. One can only hope that Hearthstone grows to incorporate more games than just WOW, like Heroes of the Storm does. That would be a pretty cool expansion! Diablo is a little bit excluded from Hearthstone due to its darker side, so this would be awesome to see. Also, nice job on the art! looks pretty legit!